2 Responses to Do you know anything about the mystery bench? 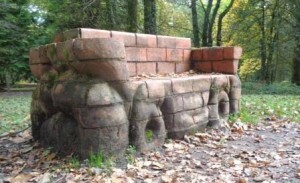 There was an artist called Dylis Jackson making this kind of red brick seating at the time of the festival. She has since done a lot of work for Groundwork. You might want to see if you can track her down.